I just want to start out by saying – the Scouts are awesome! I love everything they stand for and I was so excited that Connor wanted to be a cub scout. It was our first year and we had so much fun. But when I think of Girl Scouts, the first thing that comes to mind are their delicious cookies. I know it’s bad but I LOVE them! So when it came time to participate in this month’s edition of Craft Lightning, I thought it would be fun to make super easy Thank You Notes. Connor’s pack sold popcorn last year and these would have been awesome to include with everyone’s order. And guess what? They are so easy to make. 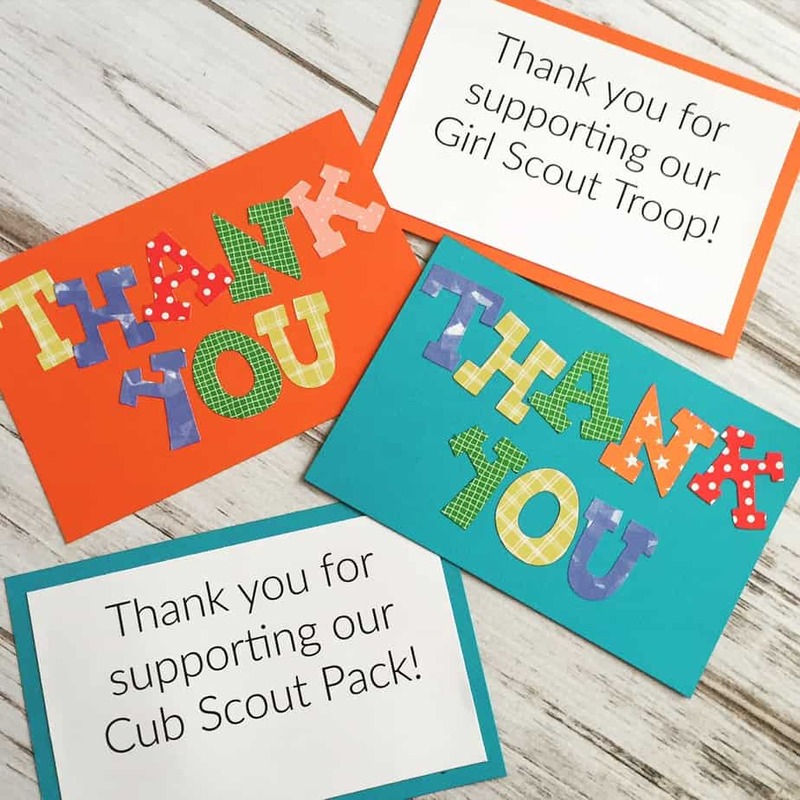 Your troop or pack can easily make dozens of them at one of their meetings and it’s a nice way to thank everyone for their order. All I did was use my Sizzix Big Shot Machine to cut out letters. This is where you get to use up that scrapbook paper stash you have. 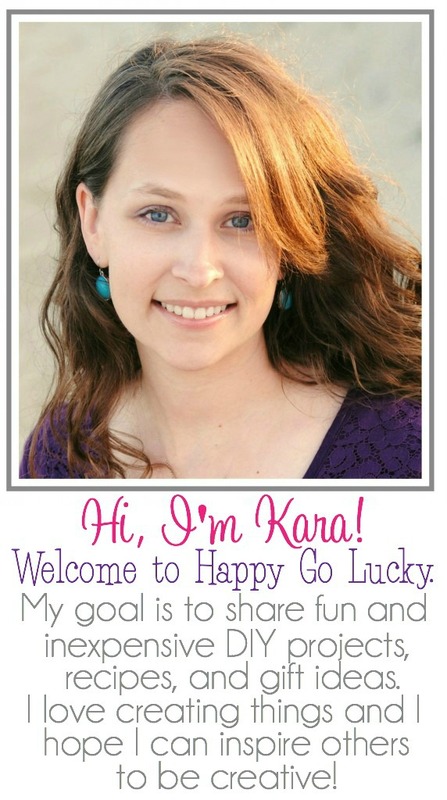 I used my Sizzix Bigz XL Die – Lemonade Capital Alphabet because I love them. Then I used a glue stick to add the letters to a 4×6 piece of cardstock. I typed up a thank you message on my computer and printed it out. Then just glued it to the other side of the cardstock. Now I know you’re thinking that would be a lot of thank you notes for each scout to make but I think you can easily make a few dozen cards in an hour. The Sizzix Big Shot makes it easy to cut the letters and everything can be glued on the notecard in no time. Now I’m craving girl scout cookies. I wish I had some Thin Mints in my freezer. 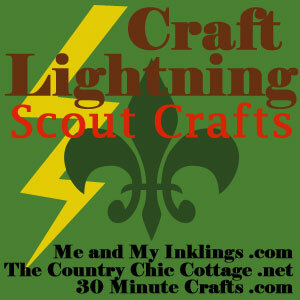 Check out more awesome scout crafts all week long! 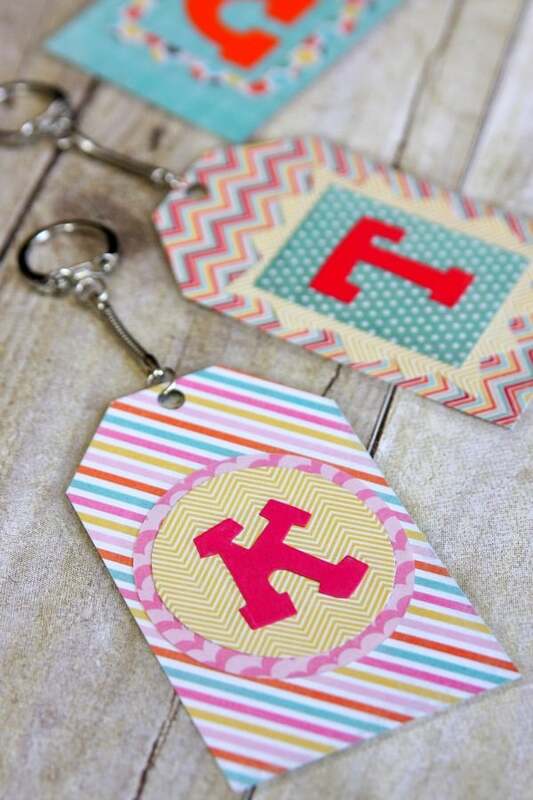 And these Luggage Tags would be a fun scouts project too. I’ll be back Thursday with another scout craft so make sure you come back later in the week. Love these! 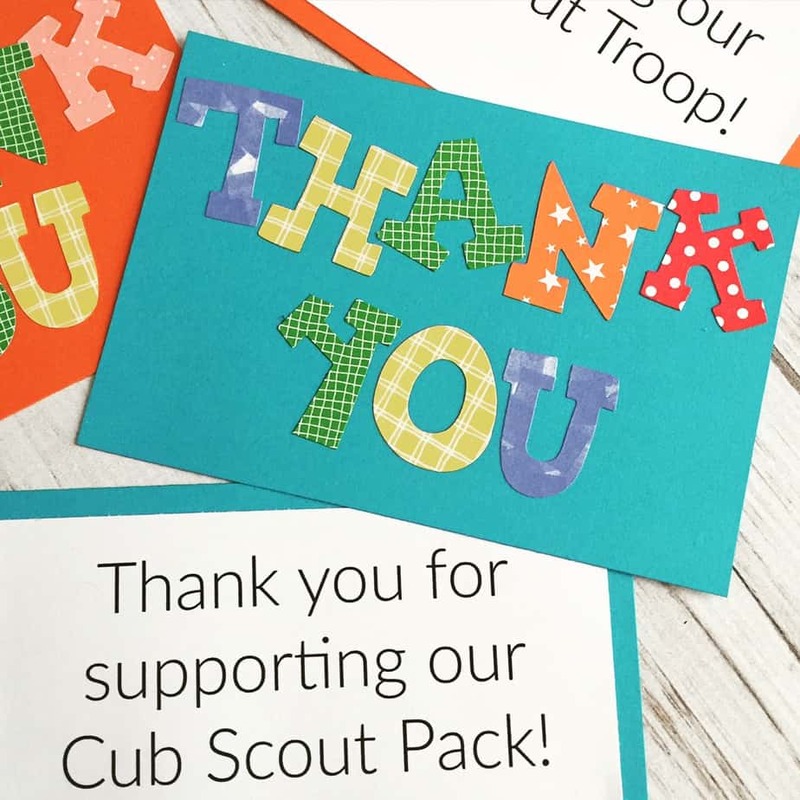 What a fun way to thank all the people that help make scouting happen!